No one wants to pay more than they have to for insurance. Most people know, or at least suspect, if their PIP insurance provider knew they were driving their car for work, their benefitswould go up. But you may need to tell them anyway if you don’t want to be stuck paying for your medical expenses after a crash. It seems like everyone is driving for work these days. Whether you are traveling between branches, driving to client meetings, or delivering groceries, your company has probably asked you to put miles on your car for the business. But the increased mobility of the modern workforce has set the stage for a complicated battle over PIP coverage when you are injured while driving your car for work. Most residential PIP insurance policies have exclusions built in that keep them from covering commercial vehicles. That’s because delivery trucks, taxis, and other commercial vehicles spend a lot more time on the road, and are more likely to be in accidents as a result. If a personal vehicle is going to be used for work, most PIP insurance providers require a policy “rider”, or add-on, to cover the extra risk. 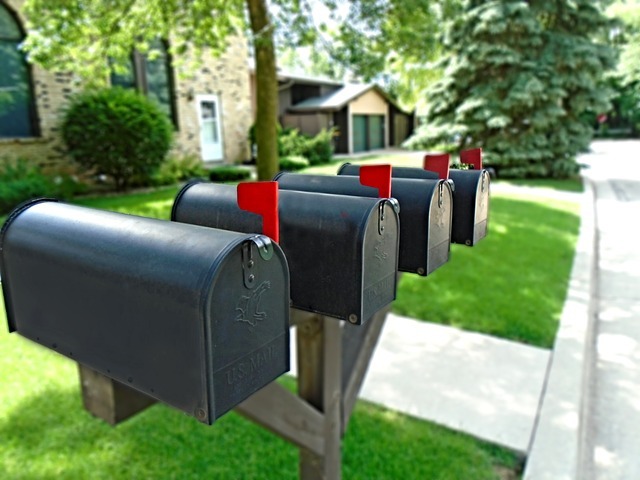 Amy Maurer was a part-time mail-person for the United States Postal Service. She would occasionally use the family vehicle to deliver mail on Saturday afternoons when other drivers took time off. When Mr. Maurer bought PIP insurance for the family in 2006, he told the insurance agent that Mrs. Maurer would be driving the car for work, but that information didn’t make it to the application. In 2012, when Mrs. Maurer got a new vehicle and he transferred the policy, he again told the insurance agent about her work for USPS. Then, later that year, Mrs. Maurer was catastrophically injured when an at-fault driver struck her as she was delivering mail. Because she was on the job, her medical expenses were initially covered under the Federal Employee Compensation Act (FECA). But then, when her case against the at-fault driver was settled, USPS was reimbursed and Mrs. Maurer was left bearing the loss. She filed a PIP Insurance claim to have her expenses covered. But the insurance provider denied the claim. It said that Mr. Maurer had made “material misrepresentations” because his application didn’t include the fact that Mrs. Maurer would be using the vehicle for work. The insurance company said that, had it known, it would have issued a different policy with a different premium amount. In 2014 – over 2 years after the accident – the insurance company sent Mr. Maurer a Notice of Rescission and tried to refund him all the premiums paid during that time. Mr. Maurer, wisely, returned the check uncashed. Insurance companies have been using “material misrepresentation” defenses to get out of paying insurance benefits a lot in recent years. But in Maurer v Fremont Ins Co. the Michigan Court of Appeals put a limit on how far the insurance provider can look back to find the supposed fraud. The court seemed convinced that Mr. Maurer had told his insurance agent about the business use, but even if he hadn’t, the court said the company was bound by the state “statute of limitation” on contract claims. Every contract-based lawsuit must be filed within 6 years of the supposed wrongdoing. The court said if the PIP insurance provider wanted to rescind Mr. Maurer’s 2006 insurance policy, based on supposedly false statements he made in 2006, it had until 2012 to do it. Because it waited until October 2014, the court said the company’s complaint for rescission was too late. Maurer shows that even if you only drive your car for work occasionally, it is still a good idea to tell your PIP insurance provider. If you don’t you could face a claim of material misrepresentation that could cut you off from thousands, or even millions of dollars of PIP no-fault benefits. At Macomb Law Group, our auto insurance claim attorneys know how to fight back against rescission claims based on material misrepresentation. If you or a loved one have been seriously injured in a motor vehicle accident, contact Macomb Law Group and get our team working for you.